Update: Aug. 27, 3:15 p.m. Hawaii Standard Time - The U.S. Navy announced the recovery of the remaining USS John S. McCain Sailors aboard the ship. 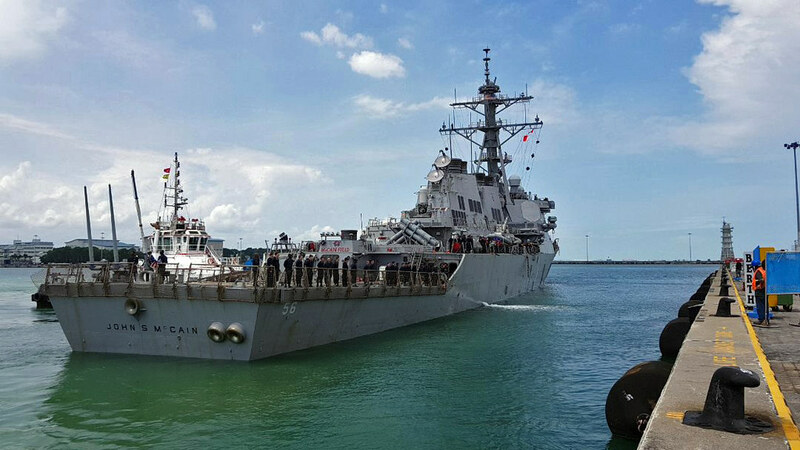 Update: Aug. 24, 7:30 p.m. Hawaii Standard Time - The U.S. Navy identified a second deceased USS John S. McCain (DDG 56) Sailor. 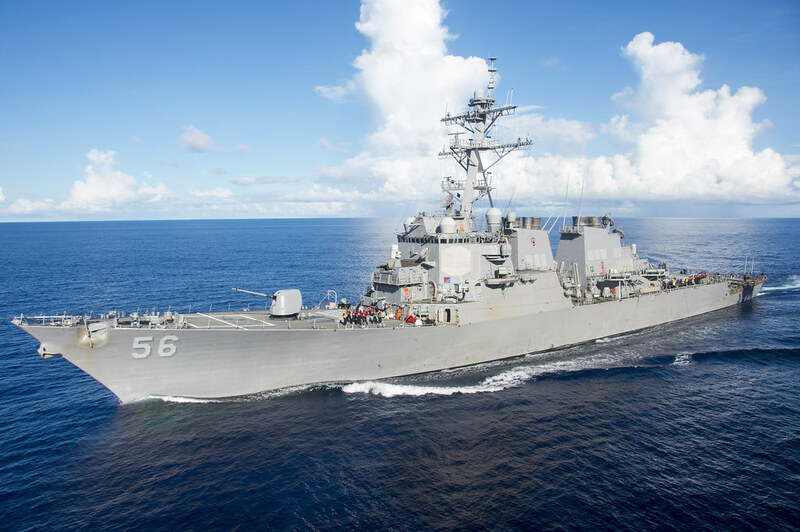 Update: Aug. 24, 3:30 a.m. Hawaii Standard Time - The U.S. Navy identifies one dead, nine missing USS John S. McCain (DDG 56) Sailors and after more than 80 hours of multinational search efforts, suspends search and rescue efforts while continuing search and recovery. 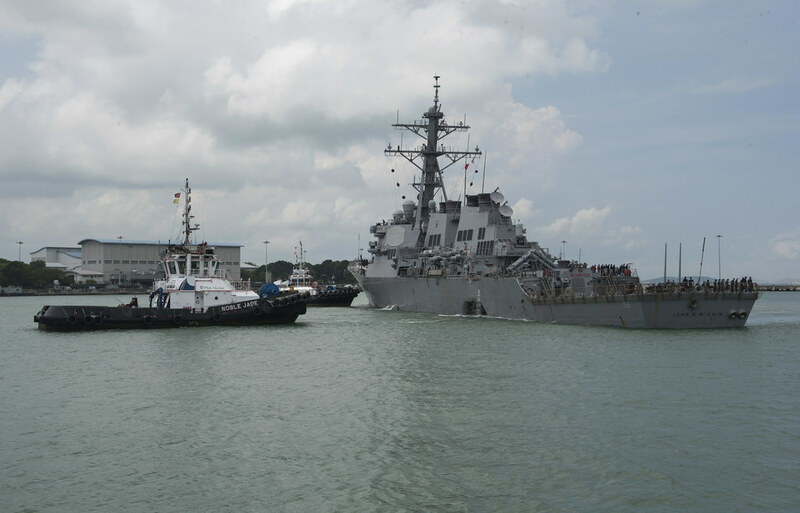 Update: Aug. 23, 8 p.m. Hawaii Standard Time - U.S. 7th Fleet announced that the remains found by the Royal Malaysian Navy are not those of a USS John S. McCain (DDG 56) Sailor. Multinational search efforts continue at sea as divers search within the ship. Update: Aug. 23, 5 a.m. Hawaii Standard Time - Divers continued to search USS John S. McCain (DDG 56) on Wednesday for the missing Sailors as the search area at sea expanded. Update: Aug. 22, 7 a.m. Hawaii Standard Time - Adm. Scott Swift, commander of U.S. Pacific Fleet, said some of the 10 missing USS John S. McCain (DDG 56) Sailors were discovered by divers performing recovery operations inside the ship. 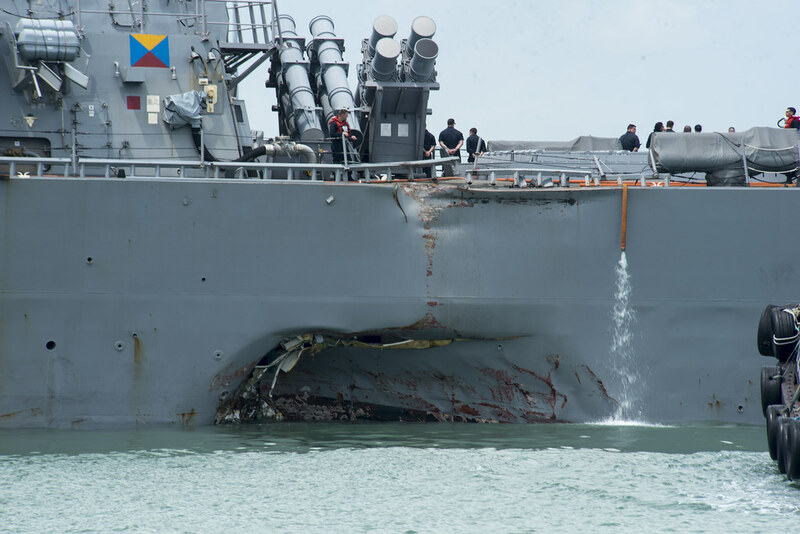 Update: Aug. 21, 8:30 p.m. Hawaii Standard Time - U.S. Navy and Marine Corps divers began searching for 10 missing Sailors aboard USS John S. McCain and will access sealed compartments located in damaged parts of the ship. Update: Aug. 21, 2:15 p.m. Hawaii Standard Time - Aircraft from USS America (LHA 6), along with ships from the Royal Malaysian Navy and Republic of Singapore Navy will continue search efforts today for 10 missing Sailors assigned to USS John S. McCain (DDG 56). Update: Aug. 21, 2 a.m. Hawaii Standard Time - USS America (LHA 6) arrived at Changi Naval Base and is moored across the pier from USS John S. McCain (DDG 56). SINGAPORE, Aug. 20, 9:10 p.m. HST - The guided-missile destroyer USS John S. McCain (DDG 56) has arrived at Changi Naval Base following a collision with the merchant vessel Alnic MC while underway east of the Strait of Malacca and Singapore on Aug. 21 (local date). An Emergency Family Assistance Center has been established. Family members can call 046-816-1728 (commercial from Japan); 011-81-46-816-1728 (Commercial from US); 243-1728 (on base in Japan); or 315-243-1728 (DSN from Japan). Additionally, family can email: omb4mccain@gmail.com. - See third update from U.S. 7th Fleet. - See second update from U.S. 7th Fleet. - See first update from U.S. 7th Fleet. - See initial release from U.S. 7th Fleet.